Our training for Exchange Server 2007 MCTS covers how to plan and prepare a network infrastructure for an Exchange Server 2007 installation as well as deploy it. 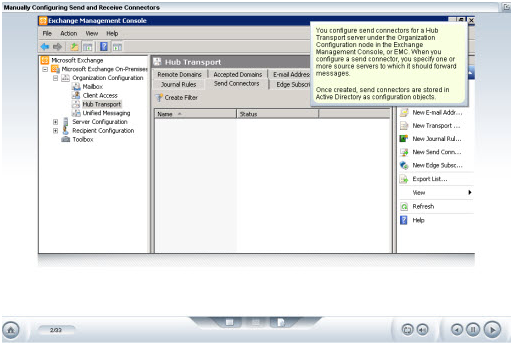 Configuring e-mail recipients, monitoring the Exchange environment, and preparing for and recovering from disasters are also covered. This course covers the objectives for the Microsoft exam: 70-236 TS: Microsoft Server Exchange 2007, Configuring. Passing this exam indicates your ability to support messaging solutions in an organization. This training program will prepare you to earn the Microsoft Certified Technology Specialist (MCTS): Server 2007 designation, which will demonstrate your expertise in this area.